I think I’m getting closer to truly joining the twenty-first century – not too bad considering we’re only about 15 years into it. Why, as recently as Saturday while I was shopping in Home Goods a needy shopper asked me about bed skirts and did I think they could be found there. Or, she wondered, perhaps she should try Target or JC Penney. My reply came so quickly and spontaneously that it took me by surprise – Amazon. Amazon is now my go-to place for all my shopping obsessions, which are usually weird, come inexplicably and consume too much of my much-needed brain power. Obviously I will continue to frequent brick and mortar establishments, but you can’t beat the convenience of sitting at your computer, drinking a cup of coffee, and ordering a case of lip balm. It was lip balm that taught me the value of this gas-saving, frustration avoiding method of shopping, which all of my kids swear by. 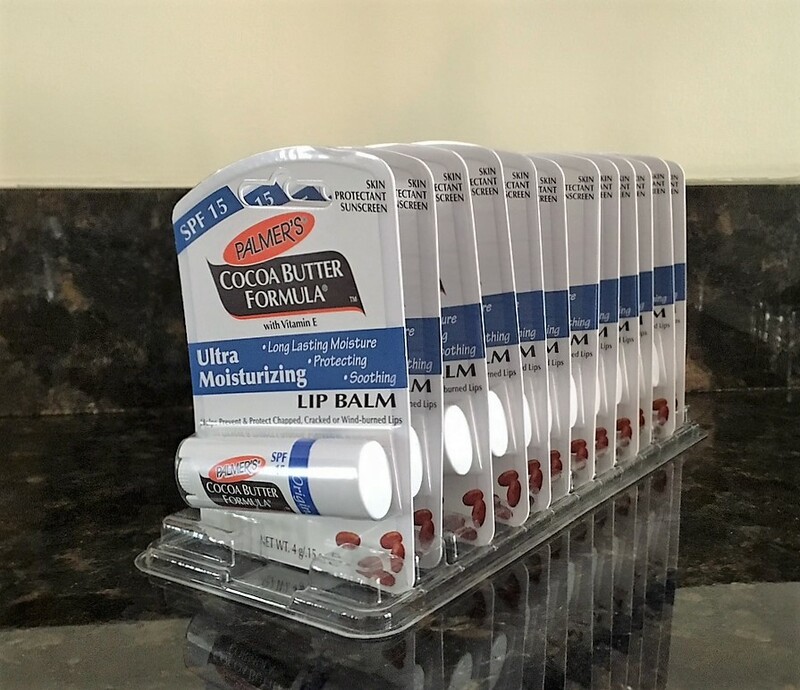 I had purchased Palmer’s Cocoa Butter Formula Ultra Moisturizing Lip Balm many times at Target. I love the way it dispenses soothing moisture as it glides across dry lips and love the oval shape of the tube. Plus, it’s inexpensive (if you don’t count the gasoline cost involved in covering the tri-county area in search of it). Every time I’d go in a Target, CVS, Walgreens, or even out of desperation Walmart, I would look for it to no avail. So I broke down and went on Amazon and there it was! Nothing compares to the joy of looking in my linen closet and seeing a case all lined up. Even thinking about it makes me utter a happy little sigh. The last time I had a weird obsession that involved ordering online, I think Amazon was mainly a place to get books. I had to go straight to the source to get my Heinz India Relish, which by the way, I can now find on Amazon. Now that we are empty-nesters, I’m not sure it’s a good idea for me to buy this by the case. Unless someone out there wants to go in on it with me. Any takers?